Get the perfect mattress for any room with the Serta Perfect Sleeper Wayburn pillow-top mattress. Supported with high-quality materials with motion isolation and heightened airflow, this pillowtop mattress produces cloud-like comfort for a restful night's sleep. Within 10 years I had bought 2 different types of queen mattresses that cost over $2000 and did not last from 2 different big name stores. For both beds throughout the years I even bought toppers to hope to get a better nights sleep. Well it did not work out and I was tired of having a sore back and constantly tossing and turning. 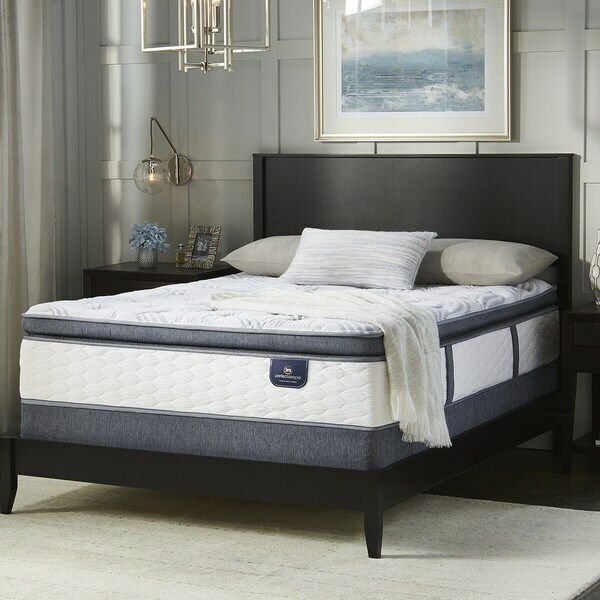 I check out mattresses on Overstock and checked out the Serta mattress brand. I was worried about not being able to lay on it and test it out but I couldn’t beat the price. I went for it because if it wasn’t comfortable I was definitely going to return it. I have had the queen Serta for 2 months now and my sleeping patterns have improved and my back is not sore. It is medium firm and I am so impressed on the price versus how much I paid before from the big name stores. I do not have any cons about my new bed, I am satisfied thank goodness. I can go on and on about how much I love Serta Perfect Sleeper mattresses! I recently upgraded from my full size to a king (quite the jump) and I couldn't be happier. I had this exact mattress for two years and knew that I couldn't get anything else. I love that it is an innerspring with some memory foam instead of being all memory foam! The mattress is a perfect mix of firm and soft because of the pillow top. I sleep on every side, back, stomach, you name it and with this bed I am comfortable no matter what! I can seriously stay in bed for ever. I've only had the king mattress for a couple days now but knowing the Serta brand and the Perfect Sleeper model I know that this is going to last me a long time. Also Overstock was great at keeping me informed on when it will be arriving - came in exactly one week and is even made to order! Highly recommend 100%. 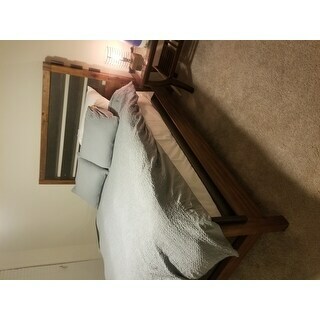 And in case you are wondering how big the bed is check out my photo...it's huge no more fighting my bf for more space! This purchase was extremely important for me. I have been looking for a mattress that provides comfort and support. Being someone who suffers with chronic back pain and fibromyalgia it was inevitable that I found a mattress that would provide me with quality sleep. Let me tell you...this mattress does not disappoint. The first night on my Serta mattress was like a dream come true. It was the first time in years that I slept through the night, and woke up actually feeling well rested, and without any pain in my lower back😢. Sleep is so important for our overall health. This mattress is everything they said it would be. It is firm, yet soft. I literally feel like I am receiving a great big hug 😊! I enjoy knowing that every night I get to lay in peace and comfort on my Serta PERFECT sleeper. I am sure I have found my new best friend 😊. Thank you Serta for making such a beautiful product, and thank you Overstock for bringing me a peaceful nights rest. So I went out on a limb here, purchased this mattress online following reviews strictly. And WOW, I love this mattress, I switched to this from a memory foam mattress. The pillow top, is great, its sturdy on the sides, Didn't even need a box spring. White glove delivery was spot on, I would recommend ordering this mattress from overstock 5/5! 75” x 77” isn’t 76” x 80”. Took 14 days to process which was a little bit of a bummer. Other than that, mattress looks great. The delivery guys were professional. Price was right. Can’t wait to get a good night sleep finally. 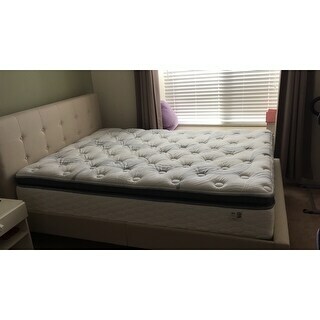 This Mattress is worth every penny, I searched for weeks and finally my girlfriend and I decided on this one. It is the perfect balance of firmness and softness. My body is so refreshed every morning and I do not want to get out. I am a late to bed early to rise person and I have had sleeping issues in the past. For the first time in years I have slept through the entire night. When you purchase this mattress, Serta hand delivers it and will take away your old mattress - Score!! The mattress is firm, and is doing great things for my back. I purchased a postureloft avondale low profile 4-inch instant foundation to go under it (which I assembled), for a perfect combo. The reviews for this mattress are spot on. 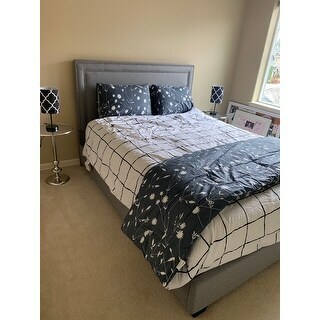 My husband and I were extremely concerned about ordering a mattress online, but we ended up having an incredible experience and the mattress is amazing. Not sure if all mattresses from Overstock have as amazing customer service as this one from Serta, but I was super impressed by the entire process. I received calls and emails walking me through every step. They informed me that they were building the mattress in the factory and that they would notify me upon shipping. They then called to say it was completed and would be ready to ship. Then called again to set up a time/day that would work for me. Then I received a call asking if I wanted it a day sooner than planned. Then a notification that they were 20 minutes away on the day of arrival. The gentlemen who delivered were kind and even “snuck” the mattress into our bedroom without waking my two year old or newborn from their sleep! I have to say the mattress is the perfect amount of firm with a cozy pillow-top softness to it. I would highly recommend Serta after this experience, and definitely this mattress if you are in the market! Worth every penny! This mattress is amazing, very supportive and comfortable. It’s more in the medium to firm side though. Perfect for me and him, medium support with pillow comfort. I sleep longer. this comfort and heavenly, like a good piece of cake and fresh hot coffee (most can understand). I purchased this mattress for our guest room. The pillow top is nice, but unfortunately if you are over 40, you will need a more firm mattress. I never received the mattress. The carrier said they tried to contact me several times but that was not the case. The only text I received had a website to click on but when you clicked on it, it said the server couldn’t be found. A week ago the carrier said they would text me with the time frame by noon on Wednesday. I never received the text. I spoke to Customer Care and was told I should hear from carrier by end of day. I’ve been jerked around since March 29 th so I cancelled the mattress. I wanted to give a zero star but it wouldn’t allow it. I struggled with buying a mattress online until I realized that trying one out in a store was useless anyways. They are worn in and not what you will get. I was super pleased that this mattress came straight from Serta! Perfect and easy delivery, Incredibly happy and sleeping so much better! I have never in my entire life thought I wold purchase a mattress sight unseen online. After reading the reviews we took a chance and man did it x end our expectations. White glove delivery was top notch. So comfortable as well. I’ve had this matress a month and on the side I prefer to sleep on there is already a huge indent that does not go away. I weigh 200 lbs which is heavy but I would think a matress should hold that. I really love this mattress. The pillow top is perfect ! "Does this mattress include the box spring?" "Just bought...Great mattress, perfect firmness, yet soft however is sagging a bit in the middle normal after youve been laying on it a few hours? Not sure what to do?" It sounds like you need a middle support system underneath the bed. 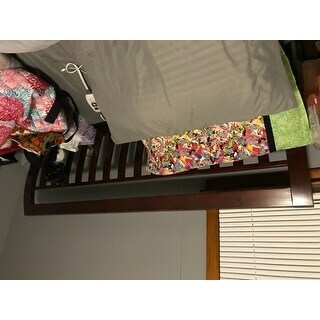 Mine doesn’t do that but we a platform bed with a middle support. I hope this helps. "How much does a full size weigh?" This mattress weighs 87 lbs. "I just bought this mattress online, i normally buy big furniture local my worries are not able to lay on the bed to test it out in person, This bed is medium, not plush nor firm correct?" Yes, the bed is medium. I hope it helps. "Is this mattress plush? I am a side sleeper. Has anyone purchased, that is a side sleeper, that would recommend this mattress?" It’s not a plush mattress. "How much does this mattress weigh in a queen size?" This mattress weighs 75 lbs. 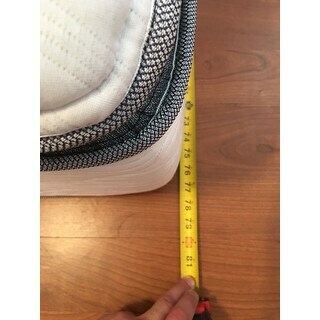 "How can you get this mattress as a set with the supporting gray box spring?"